This first published edition of the Latin cartulary of Godstow Abbey outside Oxford is an important text for the history of medieval religious women. Compiled in the early fifteenth century, and probably written by Godstow's prioress Alice of Eaton, it contains more than 900 documents written for and preserved by this well-known community of Benedictine nuns. Myth 1: She went to school at, lived at, had assignations with the king at, retired to, died at, or in any way hung out at Godstow Abbey. Sadly, Rosamund never entered Godstow until she was a fair corpse. She died around the year 1176, in the midst of her affair with the king, and was buried at Godstow, probably because her mother was already buried there. Contrary to what you will read in various places, there is no evidence that the king paid for her tomb. Her tomb was placed in the front of the high altar, and the king did show particular favor to the monastery because of it. Fifteen years later, Bishop Hugh of Lincoln made the nuns move the tomb out of the church because it was inappropriate for a “whore” to be buried there. Myth 2: She and Henry went drinking at the Trout. Or the Perch. I read this about the pubs near Godstow in a student handbook when I was doing my postgraduate work at Oxford, and I wanted to believe it. So did visiting relatives. Alas, not true. See number 2 above: no hanging out at Godstow. But my visitors and I did enjoy some pleasant pints at both the aforementioned hostelries. Myth 3: She lived in a maze at Woodstock. Of course this is a later embellishment, related to the next two myths. But a fairly elaborate pleasure garden does seem to have been incorporated into the royal residence at Woodstock in this period, adjacent to a room that just a generation later was known as “Rosamund’s Chamber.” So the maze story may have evolved from a real trysting place in a complex garden. Myth 4: The queen found her in the maze by means of a silken thread. 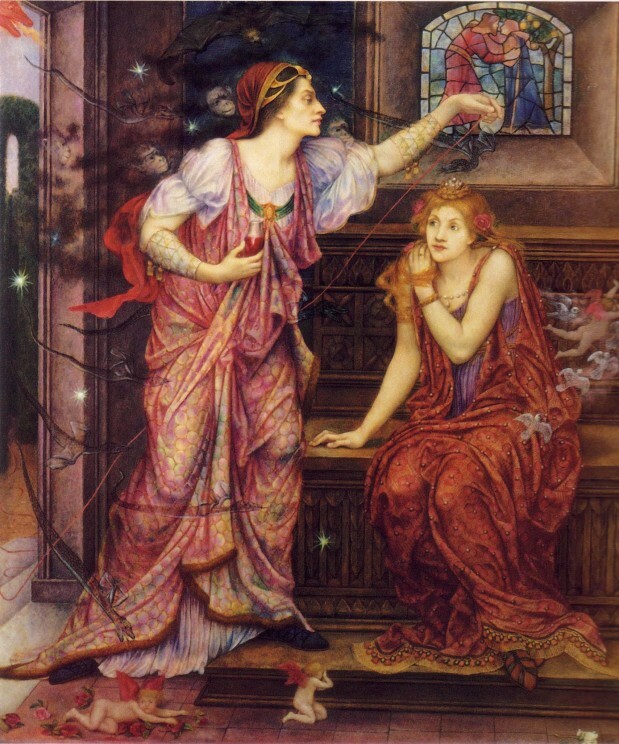 Queen Eleanor & Fair Rosamund by Evelyn de Morgan. Public domain via Wikimedia Commons. Myth 5: She was murdered by Queen Eleanor of Aquitaine. The earliest version of this story, from the fourteenth century, has Eleanor stabbing Rosamund; in Renaissance versions the queen makes Rosamund choose between stabbing and poison. Interestingly, even the Victorians made a sympathetic victim of poor Rosamund (the fornicating mistress) and turned Eleanor (the wronged wife) into a murderous monster. Needless to say, there’s no truth to the murder stories, which arose long after Rosamund died. Myth 6: She was the mother of Henry II’s illegitimate son Geoffrey Plantagenet, archbishop of York, and/or his illegitimate son William Longespee, earl of Salisbury. Rosamund was too young to be Geoffrey’s mother, who was apparently a woman named Ikeni. William Longespee was the son of Ida de Tosny. Myth 7: Latin bell inscriptions all over England make reference to her. These inscriptions read, “I who am struck am called Maria [or Katherine], the rose of the world.” Rosamund was a rare, possibly unique, name for a woman in twelfth-century England, but the phrases rosa munda (pure rose) and rosa mundi (rose of the world) were epithets for the Virgin Mary. It’s likely that Rosamund Clifford was named (creatively and, as it turned out, ironically) in honor of the Virgin, and that the bell inscriptions came from the same general cultural source. Myth 8: Roses were spread over her tomb. No, just a silken pall and candles, as far as we know. It’s possible, however, that the Gallica rose ‘Rosa Mundi’ was named for her, as her legend grew in the later Middle Ages. Perhaps the rose, like the bells, was named for the Virgin Mary, but the name of the rose is one bit of Rosamund lore that seems plausible. Emilie Amt works at Hood College, Frederick MD, USA. 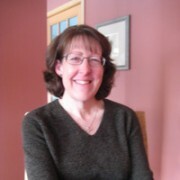 Her research focuses on religious women, and in particular on Godstow Abbey outside Oxford, founded in the twelfth century. 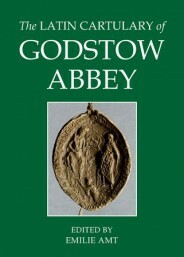 She is the author of The Latin Cartulary of Godstow Abbey.